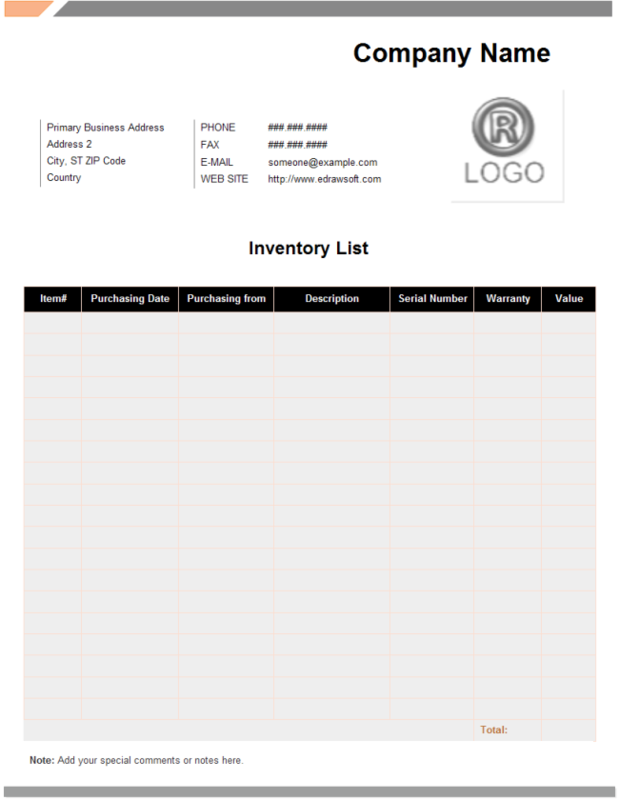 Description: A free customizable product inventory list template is provided to download and print. Quickly get a head-start when creating your own product inventory list. You will get professional inventory list instantly through some minor modifications.